If you are using a Solicitor to sort out your Power of Attorney you will also need to pay the Registration Fee on top of the law firms charge. Lasting powers of attorney (LPAs) let you choose a person (or people) you trust to act for you. This person is referred to as your ‘attorney’, and you can choose what decisions they are allowed to make for you. There are two different types of LPA. One of them covers decisions about your property and finances, and the other covers decisions about your health and welfare. You can choose to make both types or just one. You can appoint the same person to be your attorney for both, or you can have different attorneys. An LPA can only be used after it has been registered at the Office of the Public Guardian (OPG). 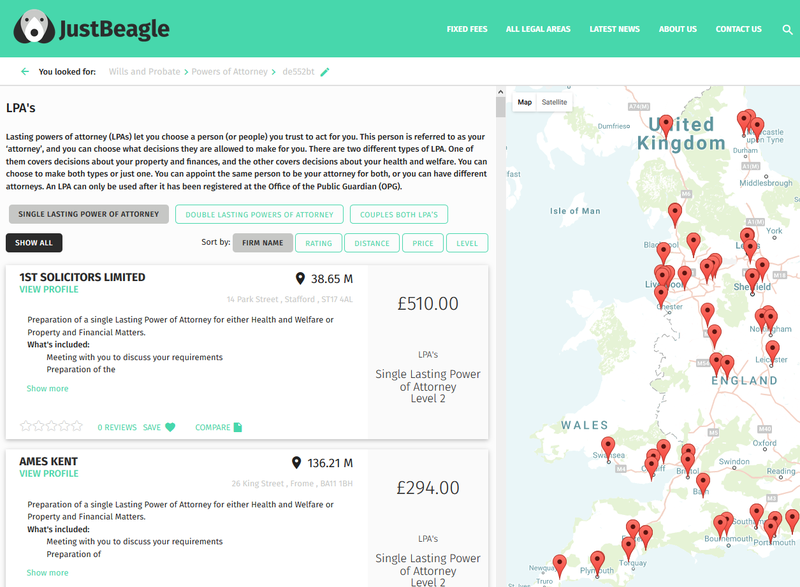 There is a £82 application fee to register a lasting power of attorney (LPA) or an enduring power of attorney (EPA) and a £41 repeat application fee to register an LPA or EPA. If you are in any doubt which, and how many fees you will be required to pay, please check with your law firm. Normally, unless you are doing it yourself, you will pay your law firm for drafting the Power of Attorney forms, and will pay the Office of the Public Guardian for registering the Power of Attorney. If the person who made the LPA or EPA (the donor) receives certain means-tested benefits when you apply to register it, you won’t have to pay anything (this is called an ‘exemption’). If the donor’s income before tax is less than £12,000 a year, you will only have to pay half (this is known as a ‘50 per cent remission’). Details are on the form. If you want to do it yourself you can also use the lasting power of attorney service at the Office of the Public Guardian to create an LPA online. You can find and compare law firms that offer Power of Attorney services here. If you select you will be able to check how much it is likely to cost.